May 21, 2018, 10:25 a.m.
“Our goal is a newscast that is complementary to the commercial news”: Think important local issues, not car crashes and sports scores. By Christine Schmidt @newsbyschmidt May 21, 2018, 10:25 a.m. Hailed as a “once-in-a-lifetime” opportunity for local TV stations, the FCC’s spectrum auction last year drove billions of dollars to hundreds of broadcasters across the country. The windfall of cash came from wireless carriers seeking infrastructure for more powerful networks, and now the proceeds are landing in the stations’ bank accounts. So what are the local TV stations doing with a little extra coin? While some are using it to pay off debt (important! ), other stations are thinking outside-of-the-TV-box with new types of newscasts and new forms of journalism, new hires, and new infrastructure. Yoni Greenbaum is seizing the opportunity at PBS39/WLVT in Pennsylvania’s Lehigh Valley (90 minutes’ drive from Philadelphia) to hire 10 reporters and two editors onto its existing staff of 42 (that includes marketing, membership, production, etc). Starting in September, that team will create a weekday newscast focused on local issues and solutions — not car crashes or thunderstorms — with the potential to reach 12.4 million households from Staten Island to Harrisburg in a channel-sharing agreement. For example, instead of rattling off which school districts are closed in a snowstorm, he said, the newscast would focus on the issues created when the schools are closed, like how many kids won’t be able to receive government-subsidized meals. The 30-minute show will not have an anchor or the typical quick pace of commercial TV news: Stories will typically range from three to six minutes. The endeavor, dubbed the PBS39 Reporter Corps, also signals a new step for the station’s community engagement. The 10 new reporters will be required to live in the counties they personally cover (the station’s core coverage area spans 10 counties). It’s likely they won’t be residents of the area already, so two weeks are blocked out of Greenbaum’s show development schedule for reporters to knock on doors in the neighborhoods, go to Little League games, host meet-and-greets, and generally get to know the community. Though similar in name, this project isn’t the same as Report for America, the initiative launched last year by GroundTruth with funding from Google and foundations. Reporters hired at PBS39 will be full and permanent employees of the station, unlike Report for America’s temporary assignments. PBS39’s board of directors endowed the program for three years, and Greenbaum hopes to find a grant stream or underwriting source of support in the future. 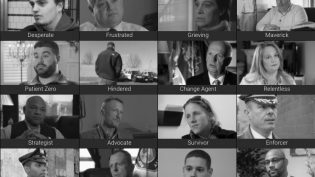 PBS39’s endeavor is the kind of reinvestment that Mike Rispoli, a project director at advocacy group Free Press, had pushed stations to consider in joining the auction. 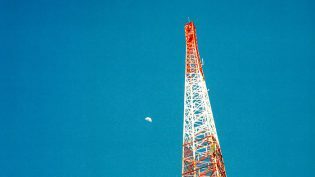 “What they are doing is one of the best examples of how money from the spectrum auction can be used in a way that strengthens a station, strengthens the journalism, and ultimately helps and benefits the community,” he said. The Reporter Corps model isn’t one-size-fits-all-markets, and not every station has been able to reinvest its funds. In New Jersey, where the state owned the broadcast licenses, only $10 million of the $332 million from the auction trickled down to the public broadcasting authority, the rest kept in the state’s coffers. Rispoli, who campaigned for the state to reinvest the bulk in local journalism, called it “one of the most disappointing outcomes,” but, hey, that’s still $10 million more than there could have been. Some stations have shut down altogether or combined with others after evaluating options for repacking fees and reimbursements from the FCC. But a shutdown doesn’t necessarily mean lights-out for local journalism. The group behind WYBE, a public TV station in Philadelphia, relinquished the station’s broadcast license. But as it transitions to a foundation, Independence Media is dedicating the $131.5 million from the auction for grants to organizations that “are using media and new technologies to connect communities, promote diversity and encourage understanding,” according to the announcement. The Sonoma, Calif. station KRCB used some of its auction proceeds to acquire another public TV station and double its coverage area. The proceeds also helped sweeten the merger between KCET in Burbank and PBS SoCal/KOCE in Orange County, which had reportedly been in the works for years. Many stations received money several times larger than their annual budgets, so it makes sense that they’re moving slowly in deciding how to spend it. Greenbaum joined PBS39 five months ago from NBC10 in Philadelphia, but he’s energized by the literal millions of extra dollars on hand. 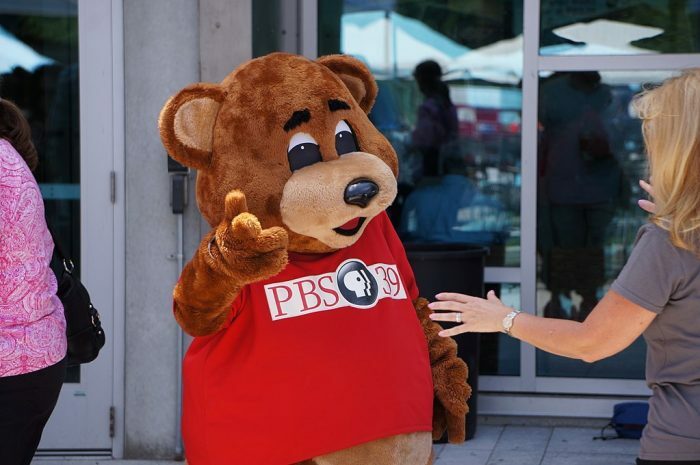 Photo of a public-television-loving bear by PBS39 used under a Creative Commons license. POSTED May 21, 2018, 10:25 a.m.
Schmidt, Christine. "Flush with spectrum-sale dollars, a Pennsylvania PBS station is doubling down on a different kind of local news." Nieman Journalism Lab. Nieman Foundation for Journalism at Harvard, 21 May. 2018. Web. 20 Apr. 2019. Schmidt, Christine. "Flush with spectrum-sale dollars, a Pennsylvania PBS station is doubling down on a different kind of local news." Nieman Journalism Lab. Last modified May 21, 2018. Accessed April 20, 2019. https://www.niemanlab.org/2018/05/flush-with-spectrum-sale-dollars-a-pennsylvania-pbs-station-is-doubling-down-on-a-different-kind-of-local-news/.